Andrea practices commercial law with an emphasis on bankruptcy, insolvency, restructurings, secured transactions and debtor/creditor law. She has experience in both complex national and cross-border restructurings and insolvencies. Andrea joined the firm as a summer student in 2006 and articled with the firm in 2007-2008. 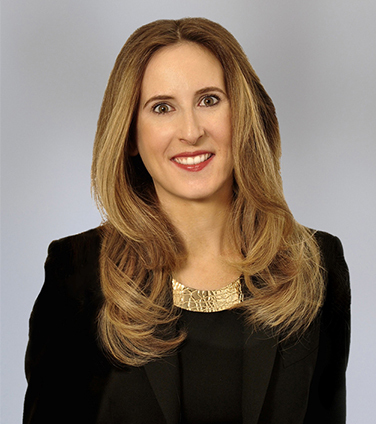 Andrea is a contributing author to the LexisNexis Practice Advisor Canada Insolvency & Restructuring module. Successfully represented Equity Ventures International Holdings Ltd., a major creditor of CanaSea Oil and Gas Group Pte. Ltd., in having a CCAA Initial Order terminated and declared void ab initio. Homburg Invest Inc. in connection with its CCAA restructuring. Maple Leaf Foods in connection with its acquisition of The Puratone Corporation and Paradigm Farms Inc.
Duff & Phelps Canada Restructuring Inc. in connection with the receivership of Priszm Income Fund and certain of its affiliates. ThyssenKrupp Budd Canada in its $200 million pension and benefits settlement and $500 million tax loss monetization transaction under BIA proposal proceedings. Versa Capital in connection with its DIP Loan to and acquisition of Bowe Bell + Howell pursuant to the CCAA and Chapter 11. Canwest Global Communications in connection with its stabilization, refinancing and operational restructuring. General Motors of Canada Limited in connection with its out of court restructuring. SemGroup in connection with its CCAA restructuring. The International Comparative Legal Guide to Corporate Recovery and Insolvency 2015 (Canada Chapter), 9th Edition, Global Legal Group Ltd, London: Ch. 11. The International Comparative Legal Guide to Corporate Recovery and Insolvency 2013 (Canada Chapter), 7th Edition, Global Legal Group Ltd, London: Ch. 11. Priority Charges Post-Indalex, (April 2012) 24 Comm. Insol. R. 42. Lessons from the New CCAA Regime, (December 2009) 22. Comm. Insol. R. 19. Legislative Amendments to Widen the “Director” Net in Insolvencies, Osler Corporate Review, March 2009 (co-authored). CCAA Basics for General Practitioners, Law Society of Upper Canada Practice Gems: Bankruptcy and Insolvency Law for General Practitioners 2009 (co-authored). Director and Officer Liability: A Survey of Selected Developments from Canadian Insolvency Cases, The Six-Minute Debtor-Creditor & Insolvency Lawyer 2008 (co-authored). Remaining CCAA and BIA Amendments In Effect, Osler Corporate Review September, 2009 (co-authored). Regular contributor to Weil North of the Border blog.